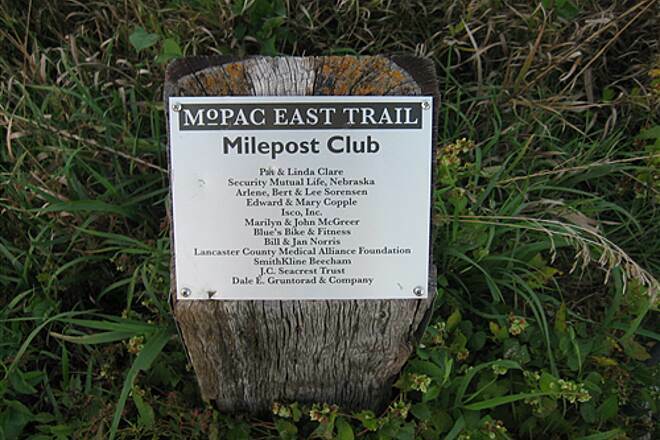 The MoPac Trail follows the old corridor of what used to be the Missouri Pacific Railroad's Omaha Belt Line (hence "MoPac"). 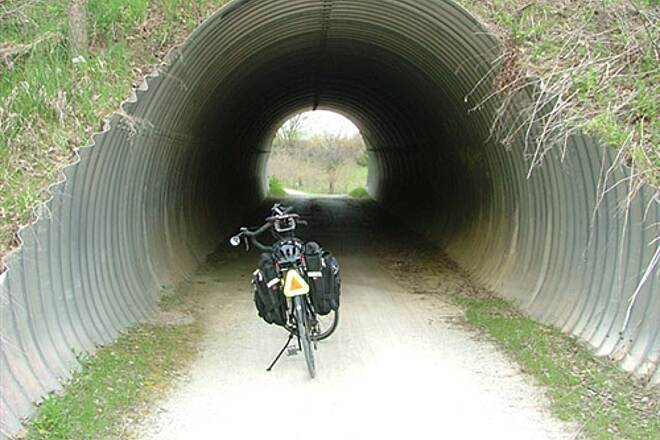 This eastern segment is the more rural and extends between Lincoln and Wabash, traveling on a crushed stone path through prairie, woodland and farmland for nearly 22 miles. 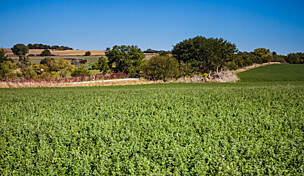 Along the way you may encounter wildlife, and you'll definitely experience some of Nebraska's lovely scenery. 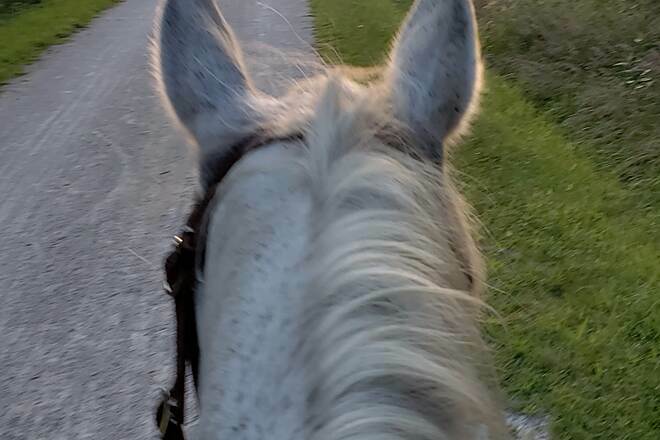 A separate equestrian trail, called the Charles L. Warner Equestrian Trail, is provided between 98th and A streets and Wabash. 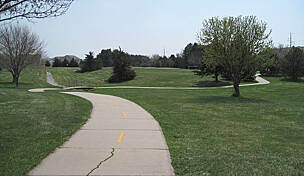 The MoPac Trail East connects to the MoPac Trail West in Lincoln; the trails join near 84th Street. 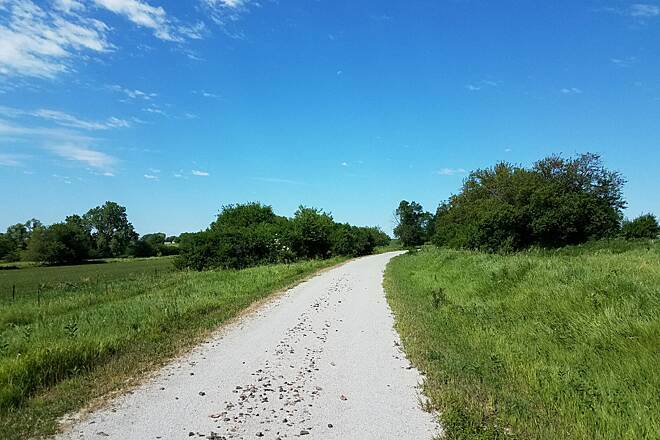 There are plans to extend the trail over the Platte River at South Bend and connect with a the MoPac Trail in Springfield and eventually lead to Omaha. 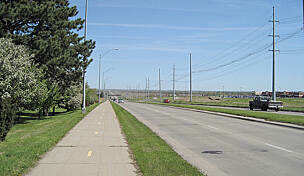 Parking access is in Lincoln at 84th Street. In Walton and Eagle, street parking is available. There's trailhead parking in the Village Park in Elmwood. Equestrian parking is available at the Charles L. Warner trailhead at 98th & A streets. 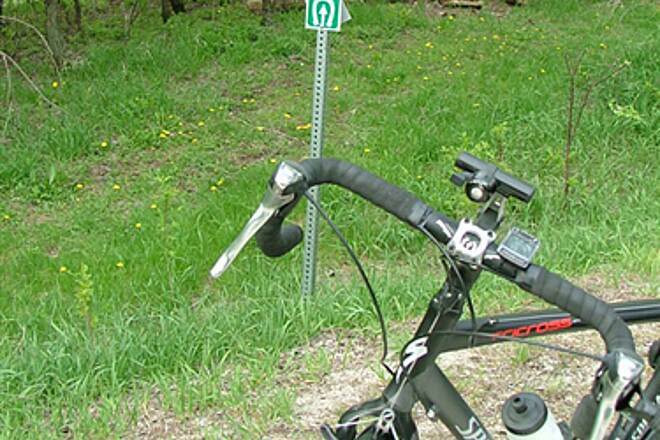 Voluntary user passes ($1/day or $5/year) are available at several self-service donation boxes along the trail and at the Walton Trail Company in Walton. Was just there a couple of days ago and found the bridge repaired. 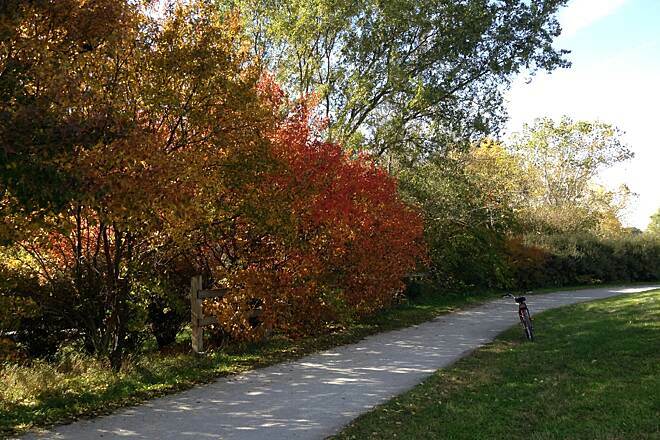 The segment between Wabash and Fletcher Ave is one of the most scenic of the trail. Good news! 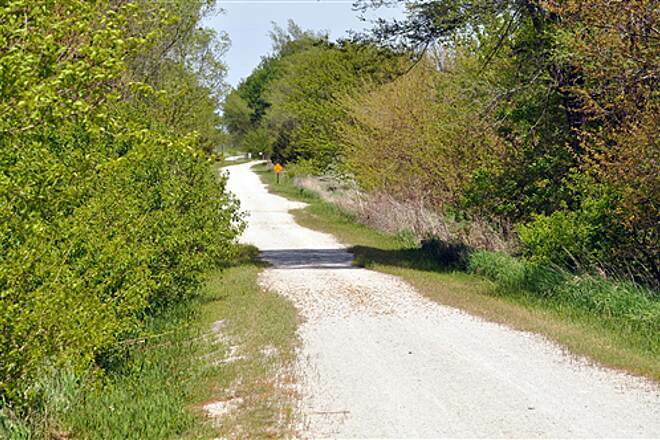 I am riding the mopac trail quite a bit since it is near the farm. 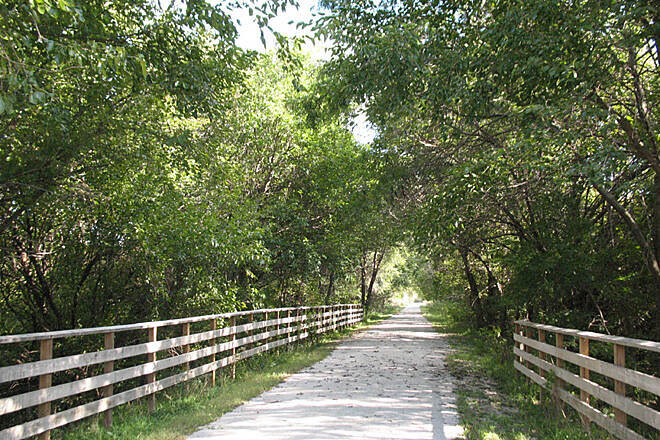 I would like to warn people that the bit of the mopac trail running from fletcher road on into wabash has been closed. It has major fences set up across it that say it is closed. However, the ride from fletcher road into elmwood is very nice. It is wooded and cool in the summer. 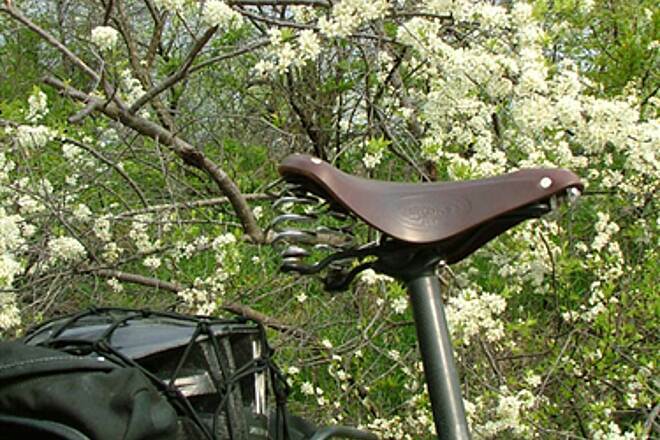 I will be tackling the trail past Elmwood soon. 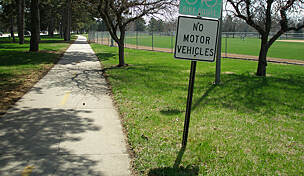 My goal it to go all the way to Lincoln, which would be a feat for me, as I have just started riding!! Finally got around to giving this trail a ride on Easter day. Started at Elmwood, Ne and headed towards Lincoln, NE. Nice wide trail and an incline right off the bat. The only disappointing aspect is that for the first three miles, the old rail bed rocks are pretty numerous and coming up through the crushed gravel. Looks like trail could use some work. Can't say condition of trail past the three miles point from Elmwood is because of extreme head winds and decided to turn back. Other then what was already mentioned, a very nice trail. We'll be back! I'm a relatively new bike rider, about 3 years. I ride from my home out to this trail and find it very nice to ride, have to watch when it gets really dry, because large cracks show up. I have seen deer and badgers on the trail and numerous bunnies. It always feels like you are in the middle of nowhere when you get out a bit from Lincoln. May 2014 - We parked in Wabash in some weeds right north of the trailhead, there were no signs saying you could or couldn't park there. Not much action in Wabash. We traversed from Wabash to Eagle and back, about 13 miles each way. The grade is slightly upward from Wabash to Eagle but it's an easy ride both ways. 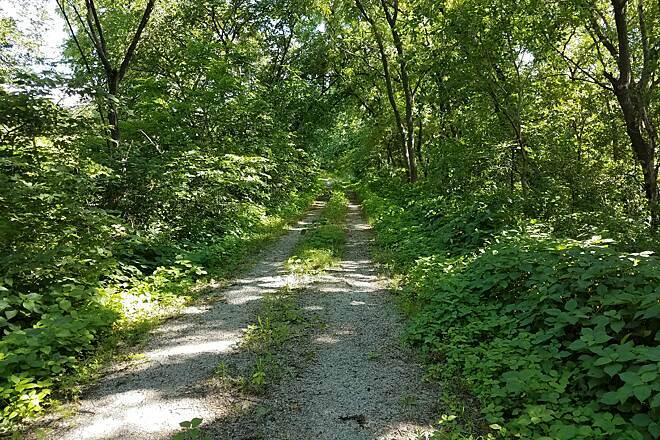 The scenery is great, I would say 5 stars on the trail scenery which is heavily wooded and goes along a creek ravine between Wabash and Elmwood, and rural from Elmwood to Eagle. Eagle has a bar/grill on main street and two c-stores on the highway. The trail is mostly protected by trees all the way with a couple open areas. 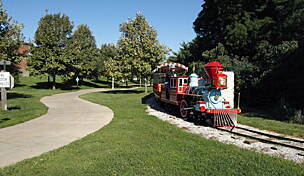 Due to the need for surface maintenance I give the trail condition about 3 stars, because there are numerous areas where the railroad ballast is protruding and a new layer of crushed limestone is needed. These areas are a danger to your tires so use caution. 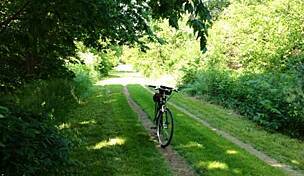 This trail is an underutilized gem, we only saw one other biker in 26 miles. Ran a 22 miler on this trail. Very little traffic on a warm Sunday afternoon in late March. Great surface, great views and some nice places to get out of the wind! 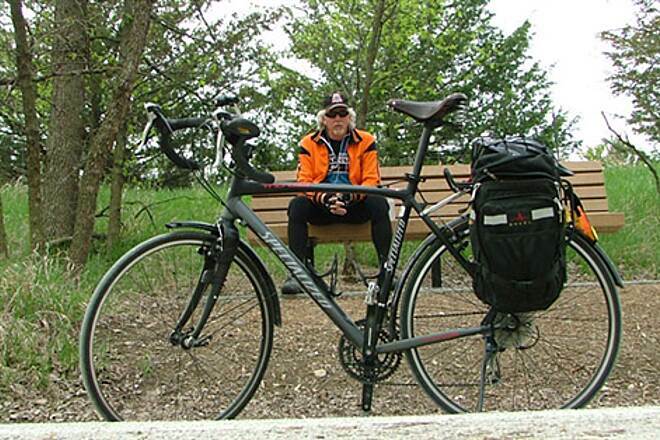 In 2012 we rode from Lincoln out and back and got in 45 miles. The trail and Lincoln were both better than we expected. The trail has a nice surface, was mostly tree lined and made a lot of turns. Along the trail we spotted deer, many rabbits & squirrels, turkey and many birds including blue birds. 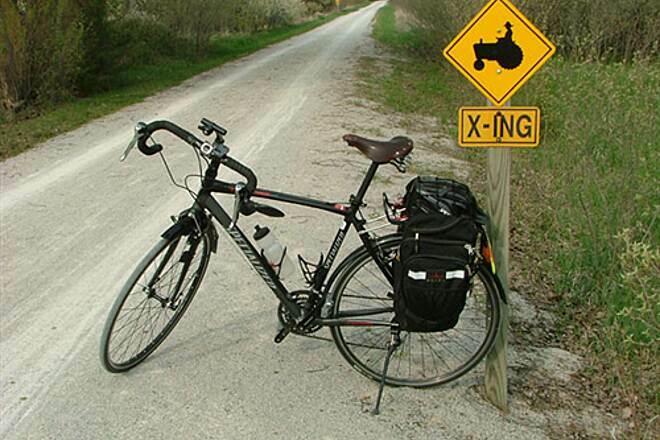 Good for anything but a skinny tire bike. The surface is, at times, pretty poor and mostly dirt and moss, but it's generally maintained pretty well. You can park at the marked trail head in Lincoln. 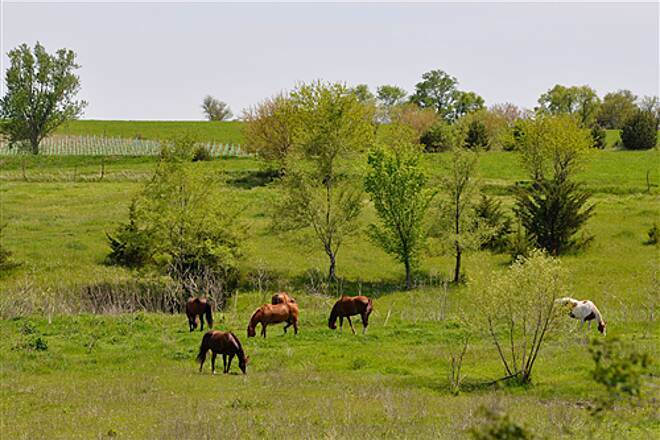 I like crushed limestone and gently rolling hills of Eastern Nebraska. Can't wait until this one is completed to Omaha. Anyone know it there is any work being done east of Elmwood? I'm a local/regular rider on this trail. 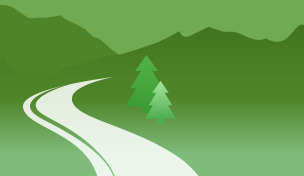 I'm writing this review in February based on my long-term experiences and not on a recent ride. 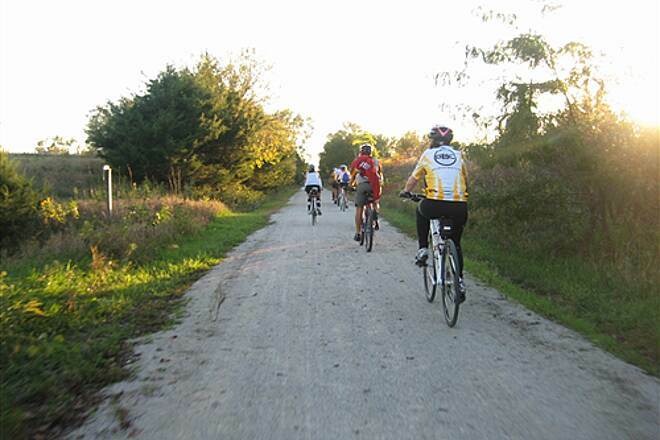 The crushed limestone trail is not cleared of snow and is not a good riding surface surface during the winter. During the spring, summer & fall, it drains fairly well following rainfalls of 1/2" or less, but it's definitely soft when coming out of winter. The trail surface is decent throughout the length of the trail. You still need to watch what you're doing, as there are a few areas that wash out, and burrowing animals do their thing, especially in the open areas between Eagle and Elmwood. 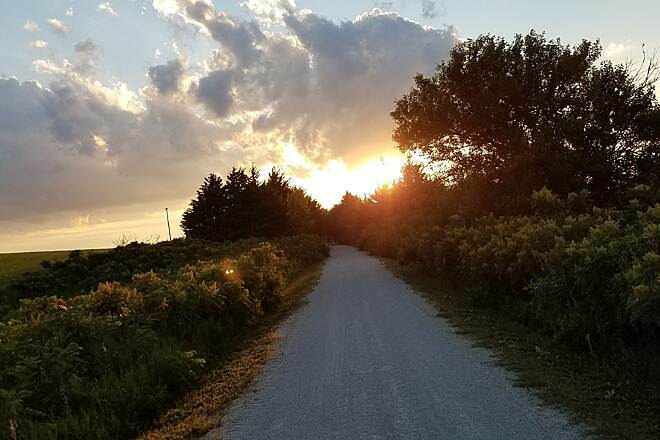 Scenery-wise, this trail is pretty good for eastern Nebraska. You're away from roads most of the trip and the trees on the side of the old railroad right-of-way give you a certain feeling of isolation, even when you're really just 100 feet from a cornfield or pasture. 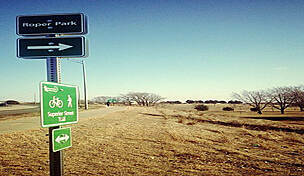 You'll cross roads about once each mile, and most of them are just county gravel roads. You'll encounter plenty of people in about the first 4 miles nearest to Lincoln; then things thin out going to Eagle (about 10 miles from Lincoln). 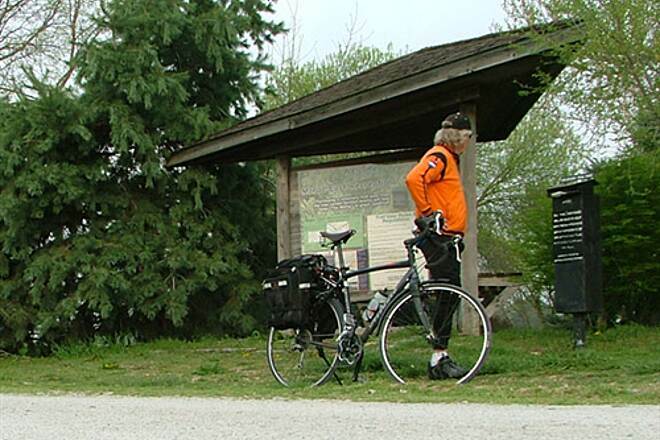 Elmwood is about another 8 miles from Eagle, and then it's about another 3 miles to the trail's end in Wabash. There are several C-stores, a grocery and a bar in Eagle. There's a Cenex C-store in Elmwood. Wabash is a town(?) in name only. There are no facilities there, but the last 3 miles to Wabash are perhaps the nicest 3 miles on the trail. 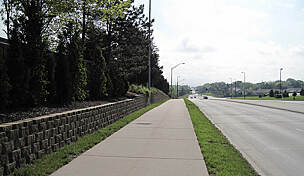 The trail tends to be slightly uphill from Walton to near Eagle, and downhill for several miles into Elmwood. 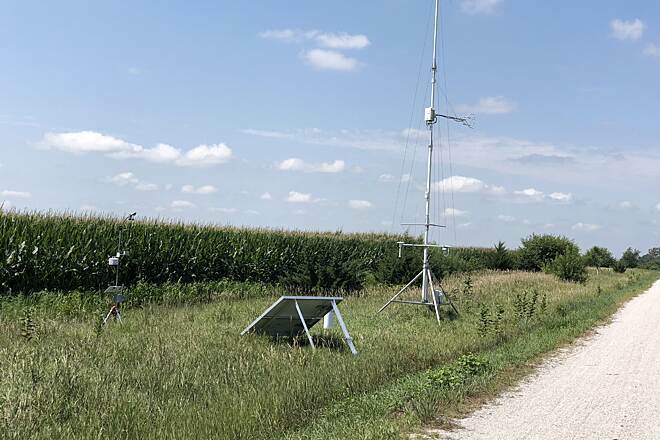 If it's a hot day with a westerly wind, you should know that you'll work pretty hard getting back from Wabash or Elmwood to Eagle, but the ride back from Eagle to Walton & Lincoln won't be bad. 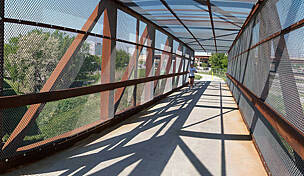 The trailhead in Lincoln on 84th Street is very nice, although it's closed during the winter months. The trail head is located between O and A street on 84th, has bathrooms, snack and drink vending machines, drinking fountains, parking . From there it turns from pavement to crushed gravel. The whole trail from Lincoln to Eagle is quite flat, some bumpy spots from water washing out a bit of the trail Only two big hills that I know of (between Walton and Eagle). During the morning/evenings or weekends, quite a few people can be seen from Lincoln to Walton. After Walton the foot/bike traffic drops. There are very few road crossings. 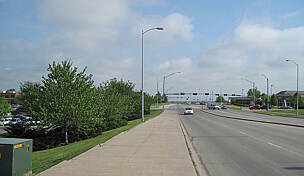 One major road (fairly major highway) crosses the Mopac about a mile and a half outside of Eagle. I cannot say about the trail past Eagle, but will probably review it again this spring when I go the full distance of the trail.